Remodeling, What Does It Mean? Remodeling What Does It Mean? 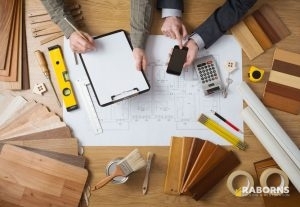 Making a Plan Before You Start Your Remodel Is Key. Are you thinking about remodeling your home? There are so many different factors that go into that, that it can sometimes be a little overwhelming. Many times people will start a project and not realize how much work is actually involved. Don’t let this happen to you; do your research and come up with a plan ahead of time. Do you have remodeling kitchen ideas or remodeling bathroom ideas? Making sure that you know what you want, how you are going to get it, and if it is realistic, are the very first things you will want to look at. Choosing to do a home restoration can be a beautiful thing. If you buy a home and want to upgrade it or make it your own, there are a lot of great ideas out there for you to go off of. Below, we will talk about where to start and the steps that you can take to make this process as easy as possible. You always want to be realistic with all of your choices. Don’t just choose something because it is pretty, make sure that it will also benefit you in the long run as well and that it is functional. For example, if you plan on getting a larger sink that sinks into the countertop, can it hold a garbage disposal? These are important aspect of a kitchen and you want to remain in a place that can be lived in the right way. Start With a Plan – The very first thing you will want to do is to make sure that you lay out a plan. This will include, what you want to do, how you will do it, what it will cost, and a timeline. These are all important factors and will be the key steps to making sure that you will be able to complete this remodeling job. Let’s start with what do you want? Let’s say that you want to redo your kitchen. You will need to decide on a color scheme, cabinets, countertops, and backsplash (just to keep it simple). We recommend finding pictures of what you like, taking measurements of how much you will need and then hitting the stores. Budget – Knowing what you can spend will be the buffer for everything. If you come up with a proper budget, you will know what you are able to buy and what might have to wait until later. We always recommend going to several places before you make a final purchase. This will allow you to get the best deal and possibly haggle a better price or two. Contractor – When searching for a contractor, look at reviews. Call them and ask them questions. If they are willing to talk to you, they may be the right fit. They should come out to your home and take a look themselves and be able to give you a quote. This is a great opportunity to talk with them more and see if they will be a good fit for you. It is important that you ask the questions and see if they can get products for cheaper in other locations. Remember that this is there job and they will be realistic with you about what can be done and help you come up with a realistic timeframe. Know What You Can Handle – At the end of the day, you know what you can handle and if you cannot be out of your kitchen or room that is being remodeled for too long, you may have to go through this process in stages. What is the difference between remodel and renovate? A remodel is when you are taking something out and usually involves some type of demolition like taking down a wall or an island in the kitchen. When you renovate, you are making something like new again. This might mean redecorating, painting walls, getting new furniture. These guys are here to help you get your house in order and do the work for you. They will usually ask a bunch of questions and keep you with them through every step, but they will make sure that things get done and they will be doing the job. They know how to remodel a house, so they will be able to help in the best way possible. What does structural remodel year mean? This would mean adding a bedroom or bathroom of some kind. This could be big changes or smaller ones, but it will require the overall structure of the home to be changed. This should be done by a professional to make sure that there is no damage in the future and walls or ceilings don’t come falling down. Is painting considered home improvement? Yes, absolutely. Anything that enhances the overall being of your home is considered an improvement. That means painting walls, adding new pictures to the walls, changing out lights, all of these are improving the quality of the home. Remodeling means that your home is being changed. Something that was currently in there, is being taken out and something different will go in its place. If you need help with your home remodeling project in Augusta, GA call Raborns Roofing & Restorations at (706) 814-3207. Posted in Uncategorized on December 28, 2018 at 8:11 pm by Raborns Roofing and Restoration.